So this week, the geek in me comes through and I will give you a short history lesson that will greatly enhance your physique and ease your mind at the same time. Once upon a time, before a series of unfortunate events, there was German state named Prussia. And despite what Hollywood made out of it, it was a very progressive and well-run country. It was the first country where you could pick your own religion and sue nobility. The motto of Prussia was “mehr sein als scheinen”, meaning “to be more than you appear”. Great Maik, I am bored. Hold on! My point is that the fitness world, especially on social media , could use a hefty dose of the said motto. The majority of fitness accounts can be reduced to one phrase “LOOK AT ME…I AM AWESOME! '” Ok, wha’ts the value in that? Granted, I use social media extensively but I do try to provide value in terms of exercise tips and the like. 2. Advanced athletes. You should be humble since your job is to be value added, plain and simple . Let’s break it down: you figured how to train and eat somewhat properly. Great, this does not make you special. Now it’s time to help those that are not on your level. Fewer selfies, more recipes! One guy who took to the Prussian motto is the gentleman in the picture, Mike. He had been training for quite a while but figured he needed help to get to the next level. 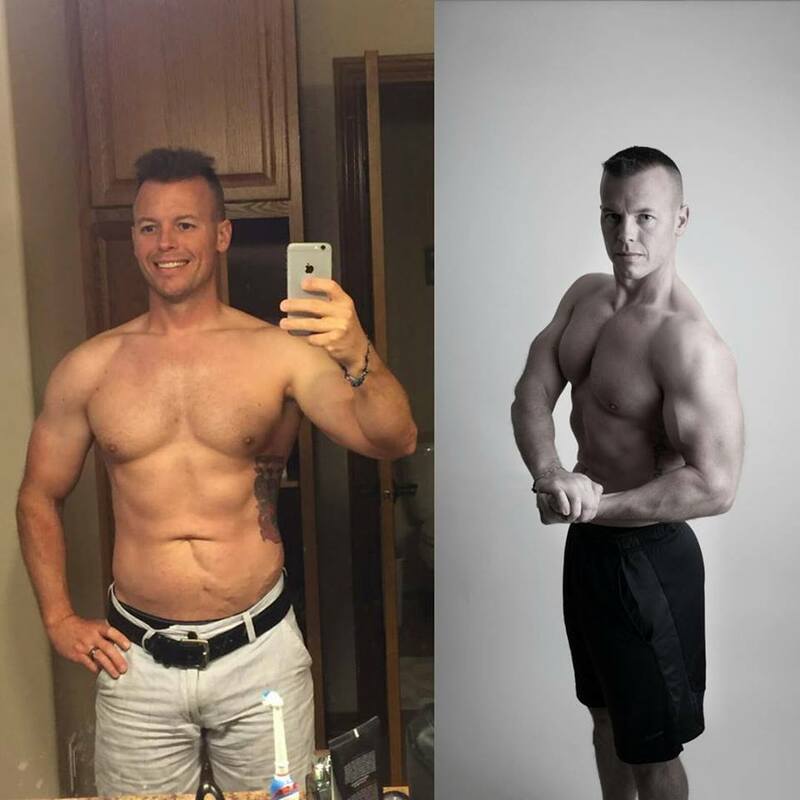 So, we set him up with a diet and training protocol and he went about it quietly and humbly (no selfie) and let the results speak for themselves! If you need assistance with your training and diet, drop me a line! Previous post: The Thanksgiving Cycle! Next post: What to focus on when training- PIT!